Just over a month into the new year and Suggy’s Gym client Sam Jones already has plenty to celebrate. Thanks to his hard work in the gym, he’s smashed his weight loss goal, dropping a stone and a half since he started serious training on Monday 4 January. 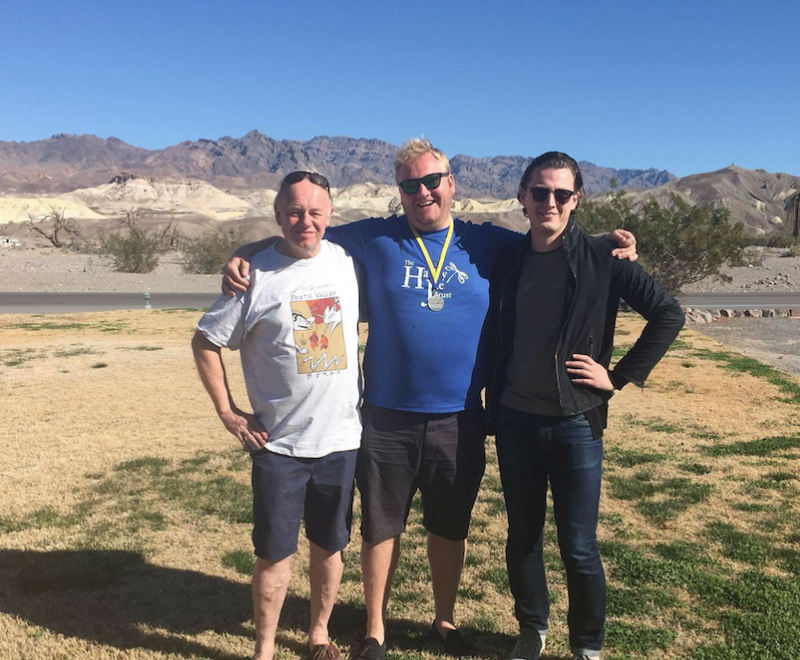 And last week he achieved another equally impressive target when he took part in one of the world’s most challenging half marathons at Death Valley in Nevada, raising £4,000 for the Nottinghamshire-based charity The Harley Jae Trust. Sam was put through his paces in the gym twice a day by senior coach Irvine Taylor, following a high intensity programme which concentrated on altitude training and building up his cardio fitness levels ahead of the gruelling 13.1 mile run. The Harley Jae Trust raises money for children with life-limiting and life-changing conditions and to support Nottingham’s Paediatric Critical Care Unit. In taking on the Death Valley run, Sam was following in the footsteps of Harley’s mother, Lucy Jayne Blanchard, one of four volunteers who trekked the Sahara Desert in support of the charity last year.